Does your business need fidelity bond insurance? As a business owner, even if you take every precaution possible to ensure the security of your business assets, theft and dishonesty can still happen. Without the right coverage, businesses can lose important data or experience major financial losses as a result of fraudulent activity. A Fidelity Bond from Densmore Insurance Strategies, Inc. can indemnify your company in the event of theft. Our coverage options range from the protection of businesses to the security of non-profit and professional organizations. With the right Fidelity Bond, you can protect your assets, company monies, personal belongings, computer equipment, supplies, and other property from employees who have a manifest intent to cause the company to sustain a loss and obtain an improper financial benefit, either for themselves or another party. Your business or organization can also cover any employees or volunteers. ERISA Bonds: for covering any claims that involve a violation of the Employee Retirement Income Security Act (ERISA). This includes situations that range from imprudent investments to failure to enroll employees. Employee Dishonesty Bonds: that cover fraudulent acts committed by employees on the property of your business, including theft and other violations. Business Service Bonds: that protect against theft of a client’s or customer’s property on their premises as a result of your employee’s careless actions. Before the contractor can begin the job, the project owner may require a surety business bond from a surety company. Some projects will require a surety bond and others may not. Many federal projects or those that cost a certain amount will require a bond, which can be obtained in amounts high enough to cover the entire project. Although surety bonds are common in the construction/contracting field, there are many types of bonds that serve many different purposes. License and permit bonds: The obligee, which is often a government agency, requires a bond from the principal. The bond states that all codes and regulations will be followed. For example, a plumber may be required to obtain a license before beginning work. To get a plumber license, you must first secure a license bond, agreeing to adhere to city plumbing code. Public official bond: This bond states that elected or appointed officials will perform the duties they are given. Typical bonded positions include notaries, judges, and treasurers. While there are other options available, it is important to discuss the needs pertaining to your business with a licensed professional. 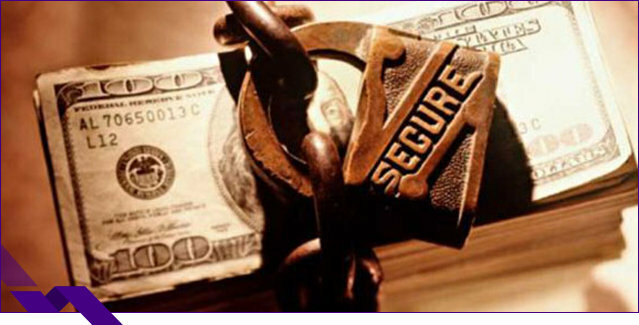 At Densmore Insurance Strategies, Inc. we can provide you with the proper protection to keep your assets secure. Our goal at Densmore Insurance Strategies, Inc. is to provide insurance solutions that keep small to medium-sized businesses protected. That is why we combine various coverage options into one convenient package – for more benefits than a typical Business policy and better savings through competitive pricing. We provide small and mid-sized companies that need Fidelity Bonds to secure their your assets. Our insurance agency provides specialized insurance protection to businesses near Ankeny Iowa, Altoona Iowa, Bondurant Iowa, Des Moines Iowa, West Des Moines Iowa, Johnston Iowa, Waukee Iowa, Grimes Iowa, Polk City Iowa, Pleasant Hill Iowa, Norwalk Iowa, Huxley Iowa, and Urbandale Iowa. We are licensed to serve Iowa, Illinois, Nebraska, Florida, Missouri, Arizona, Texas, and Tennessee.